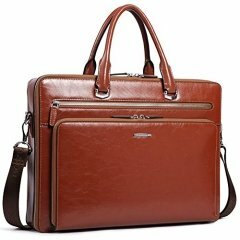 STRUCTURE: This lawyers briefcase contains 1 big inner compartment, 1 cell phone pocket, 1 inner zipper pocket, 1 pocket outside with zipper closure. 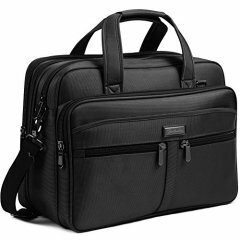 This men briefcase easily hold your 14 inch (Medium) / 15.6 inch (Large) laptop, iPad, iPhone, A4 file, and other business things. 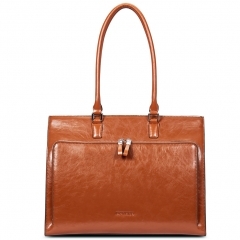 SECURE & STYLISH single gusset construction expands for greater carrying capacity. 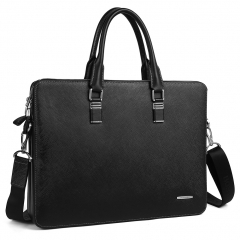 Adjustable nylon long shoulder strap. 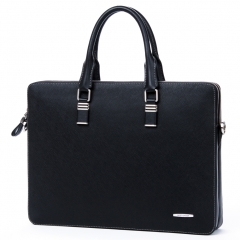 Can be used as lawyers briefcase, cross-body bag, shoulder bag or laptop bag. 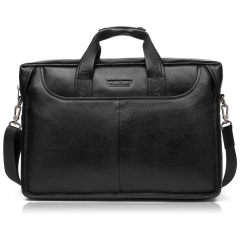 Classic design is perfect for business men. Medium: (L)15.3" x (W)3" x (H)11.8" inch. Handle height is 15cm/5.90 inch. 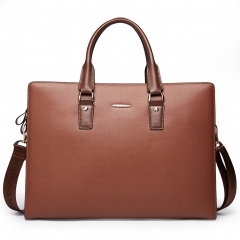 Max strap length is about 64.96 "/ 165 cm; Net weight is about 3.22 lb/ 1.46 kg. 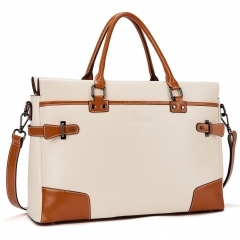 Additional detachable and adjustable shoulder strap.